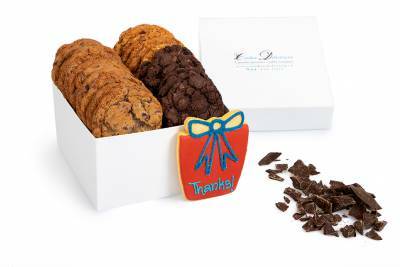 Send a message of "Thanks" with the gift of a gourmet cookie gift box to show your gratitude. In this gift box we include a specially hand-crafted red sugar cookie that says "Thanks" along with a perfect assortment of our delicious cookies. Some of the cookie varieties available are oatmeal raisin, chocolate chip, chocolate fudge, and oatmeal chocolate chip. 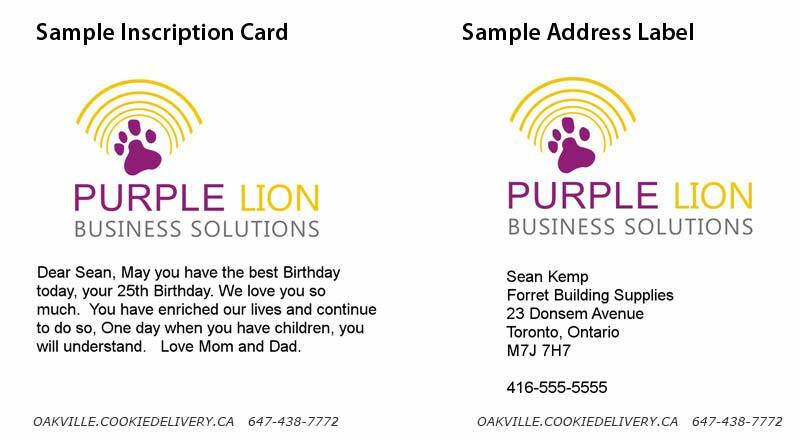 All of our cookies are baked fresh with your gift order, and regular Oakville delivery is always FREE. Order a "Thanks" cookie gift box delivery below.